One of French Polynesia’s finest resorts, with a level of comfort and service not often found in outer-island hotels, this resort combines luxury and casual elegance. The 43 garden lanai rooms and 94 spacious overwater, beachfront and garden bungalow suites, with separate sitting room and bedroom, are air-conditioned. 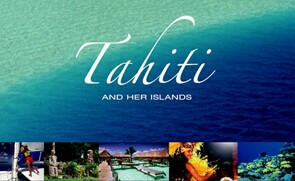 French Polynesian international cuisine, entertainment, tennis, beach volleyball, water sports, parasailing, swimming pool, Moorea Dolphin Center, padi dive center and Hélène Spa. Located on one of Moorea’s most beautiful sites with both sunrise and sunset views, this lagoonfront resort features 57 overwater and 49 garden and beachfront Polynesian-style air-conditioned bungalows. The overwater bungalows have a glass panel in the floor that reveals the jewel-colored lagoon fish. Relax at the freshwater swimming pool and dine in the lagoonfront restaurant. The resort offers 24-hour room service and a boutique. The Mandara Spa provides spa treatments unique to Polynesia. Located on a white sand beach, and a short drive from the magnificent Cook’s Bay, this charming resort offers 95 air-conditioned Tahitian-style garden rooms and family rooms, garden and beach bungalows, and overwater bungalows. The overwater bungalows feature a large sundeck with direct access to the lagoon. Resort amenities include a Polynesian restaurant and bar, on-site dive center, Manea Spa, Tahitian dance shows and a wide range of activities and excursions. 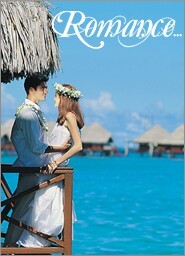 Bordered by a magnificent white sand beach, this is the only hotel on Moorea with a view of Tahiti. Eighty bungalows feature charming Polynesian decor, offering privacy and seclusion in a tropical garden and beach setting. Twenty air-conditioned deluxe overwater bungalows and 10 deluxe air- conditioned beachfront bungalows feature a terrace, marble bathroom, color television, mini-bar, coffee/ tea makers and in-room safe. Activities include swimming pool, water sports, tennis courts and volleyball. In 2006, the resort completed renovations of all bungalows, and renovated the restaurant, swimming pool, public areas and added a spa. Located in a tropical park-like garden, this family-run, lagoonfront hotel with just 29 bungalows and 12 air-conditioned rooms provides modest accommodations at a good value—plus some of the best sunset views on the island. The beachfront restaurant and bar is the center of activity and offers French, Tahitian and Italian cuisine as well as pizza cooked in a wood-fired oven. All accommodations have cooking facilities. There is a freshwater swimming pool, excellent lagoon snorkeling and a shopping center within walking distance. Located on Cook’s Bay with breathtaking views of Moorea’s mountainous spires, the hotel has 14 bayview rooms, 6 beachfront and 13 overwater bungalows. All of the accommodations have air-conditioning and kitchenette. The pool bar features continental breakfast and local specialties for lunch. Several restaurants, within walking distance, are available for dinner. The hotel’s activity desk can arrange for any of the many activities available on Moorea, including scuba diving, outrigger canoeing, motu picnics and sunset cruises.